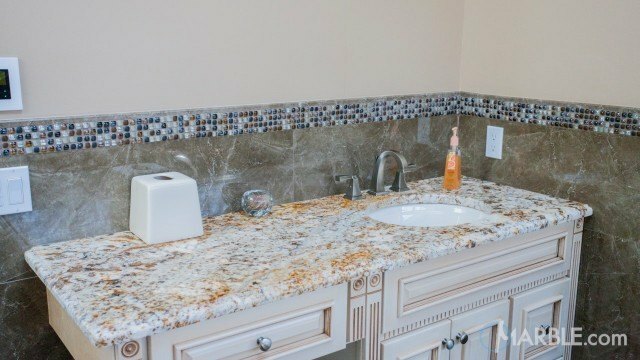 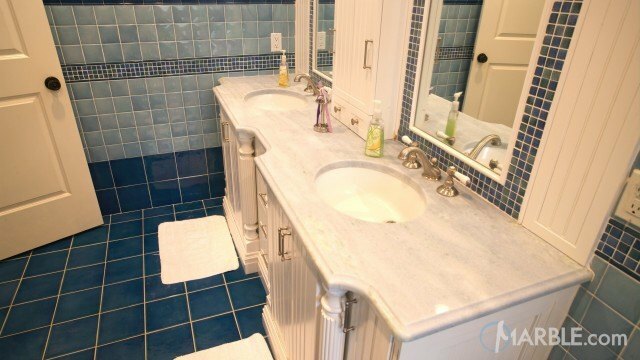 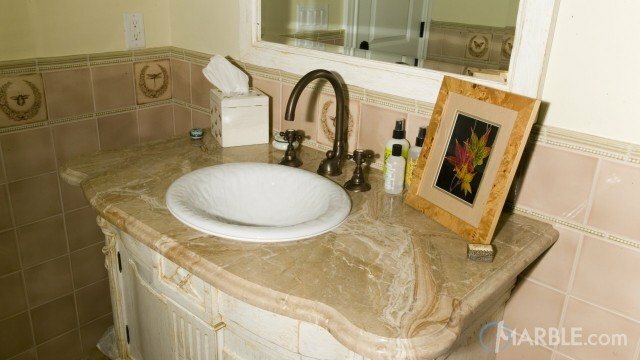 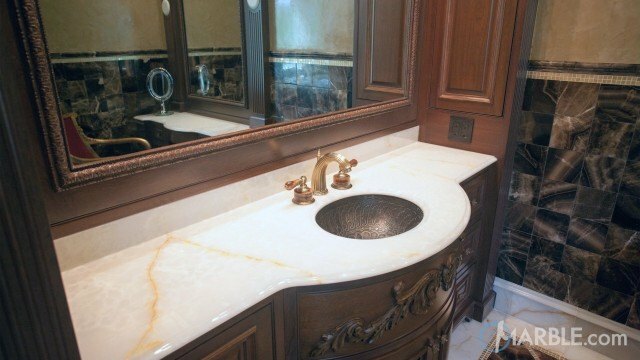 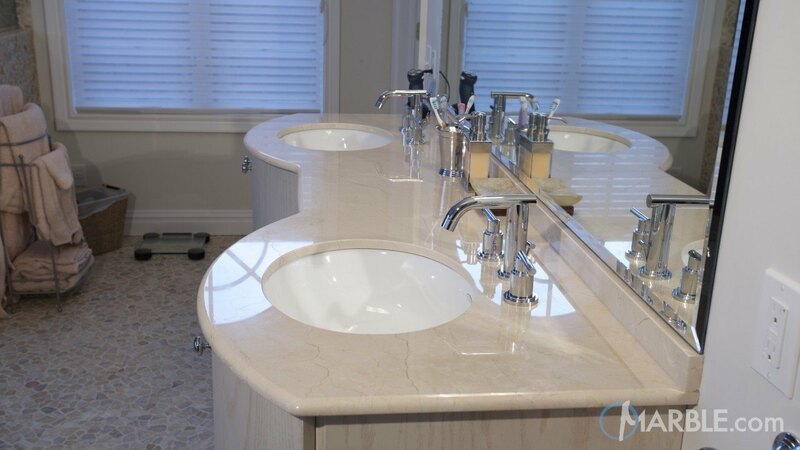 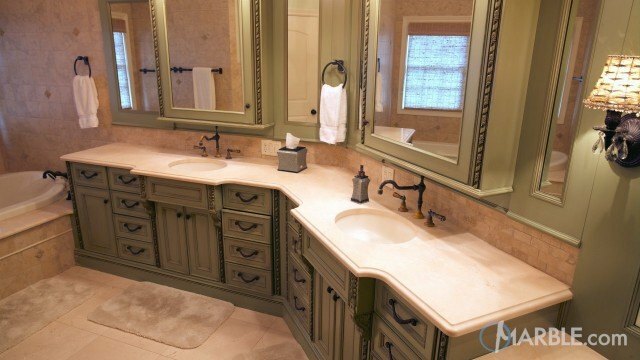 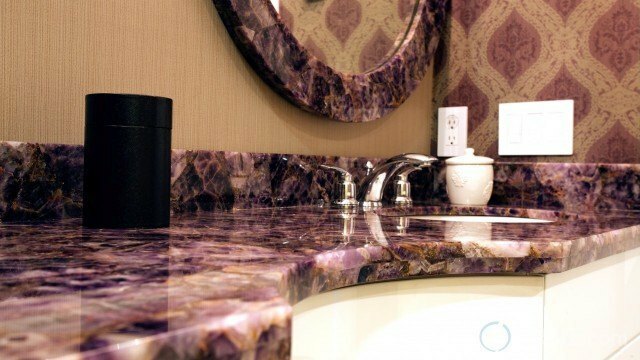 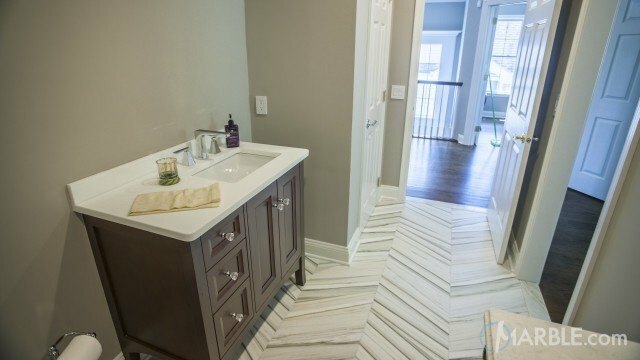 The beautiful Crema Marfil Marble in this his and her bathroom adds a smooth touch to a beautiful room. 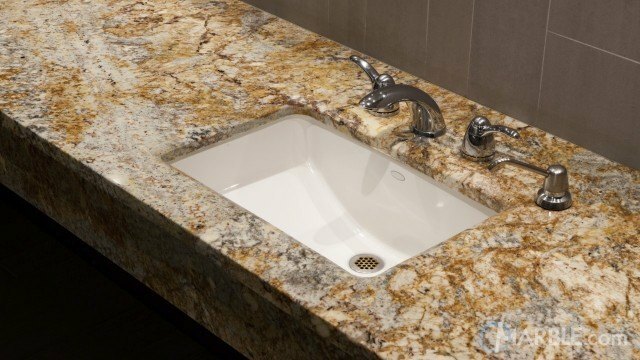 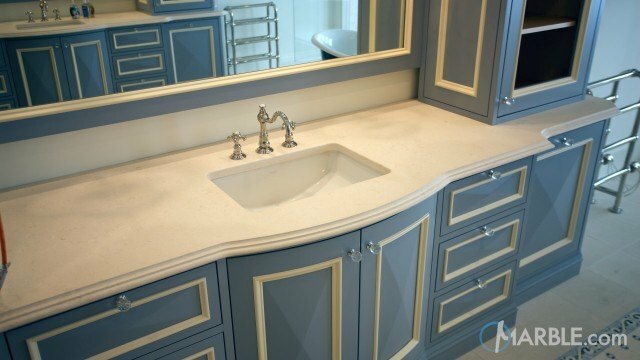 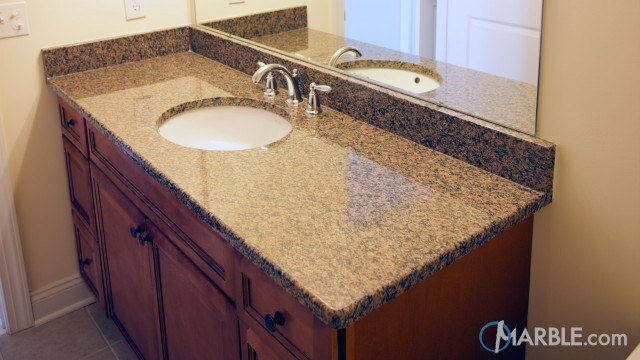 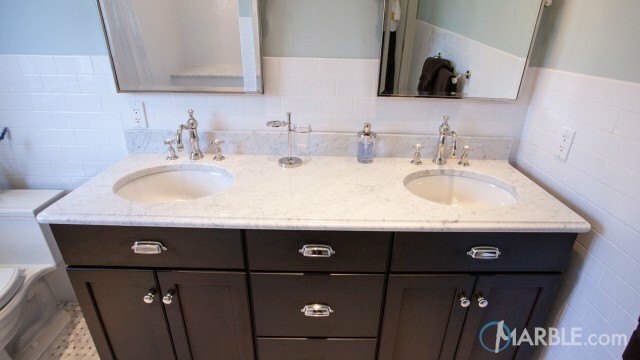 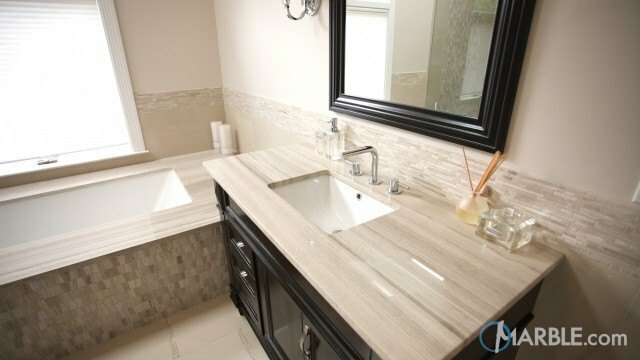 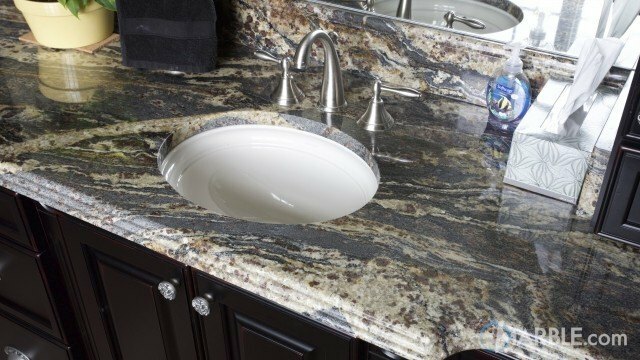 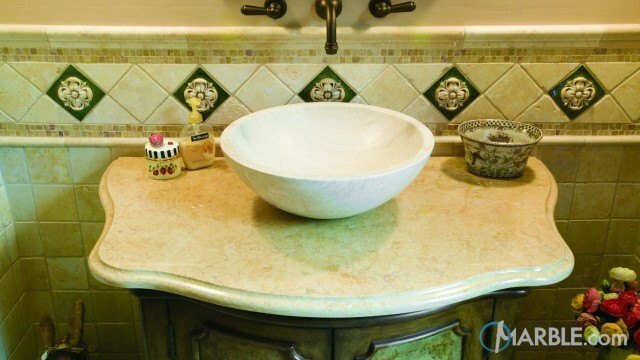 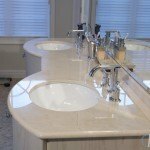 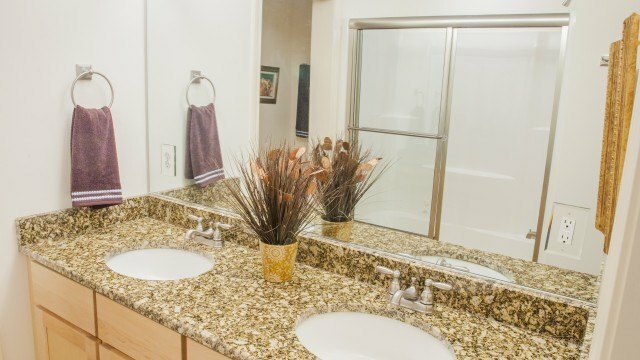 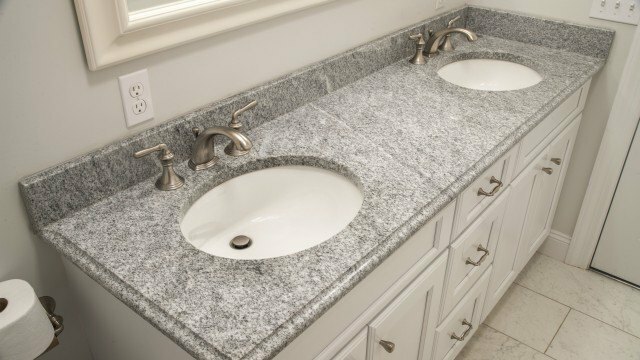 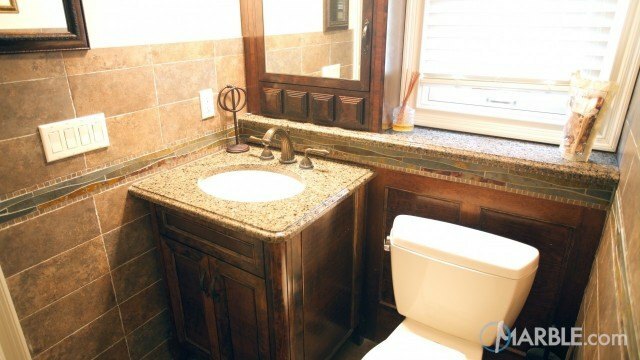 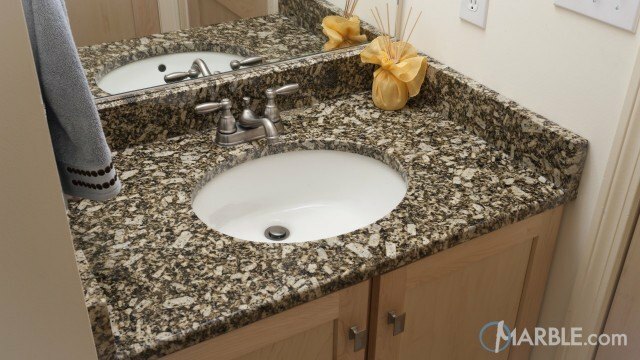 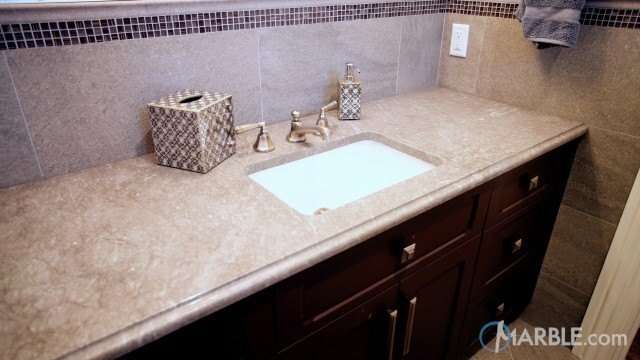 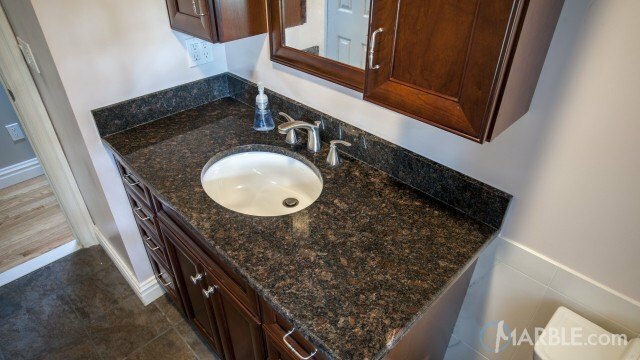 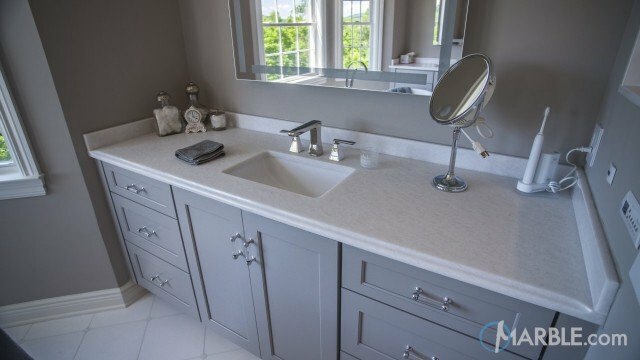 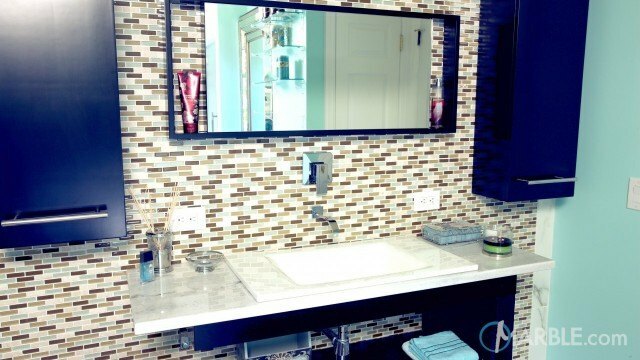 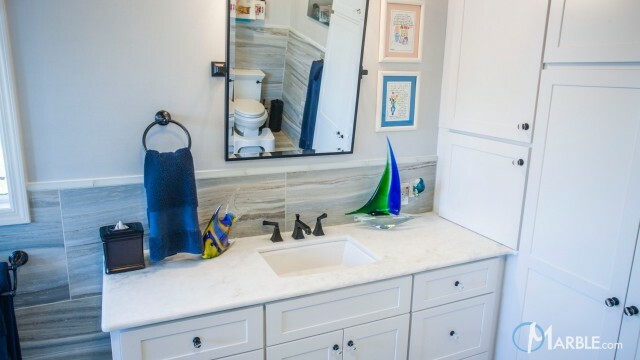 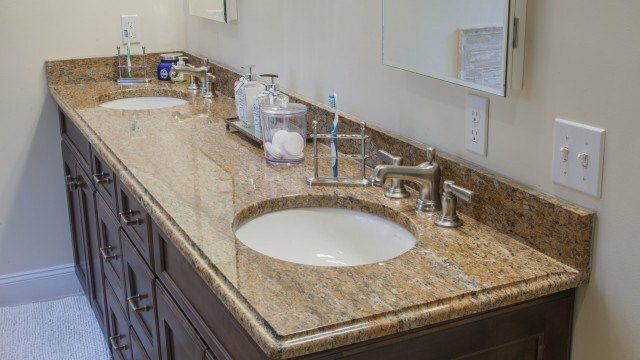 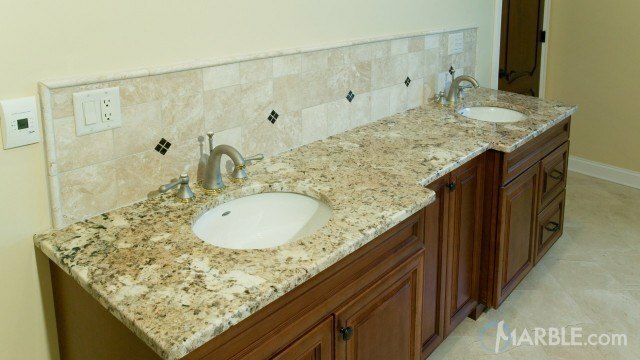 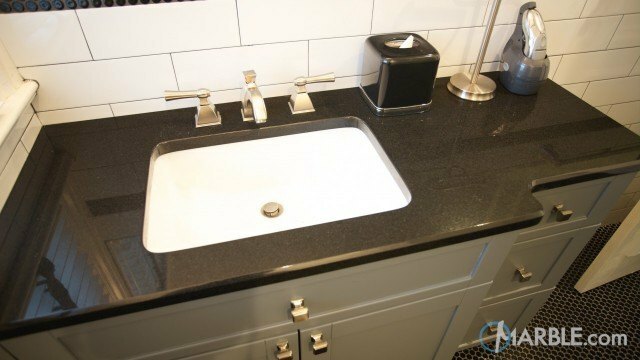 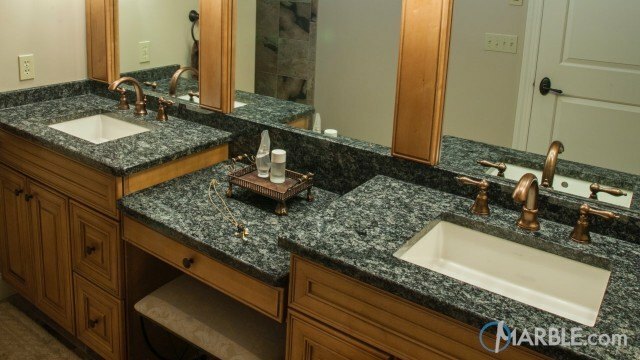 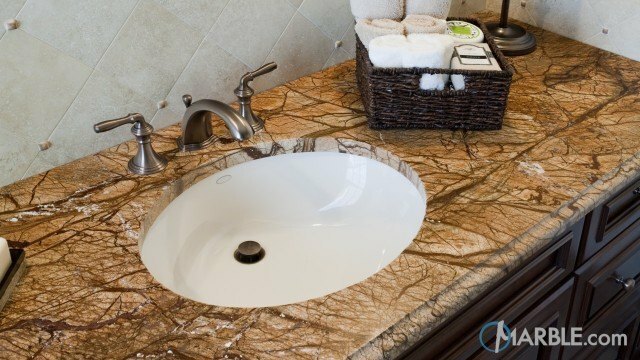 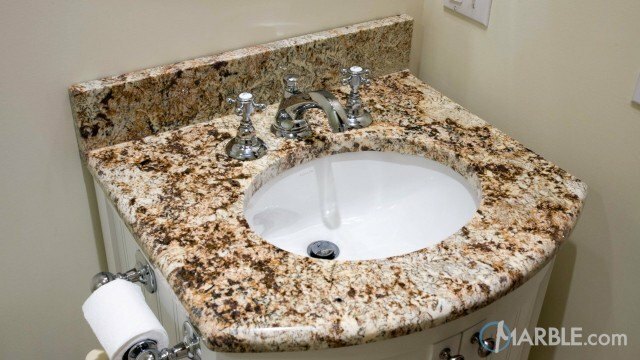 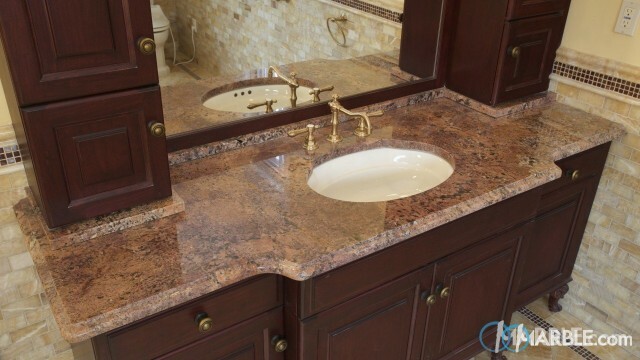 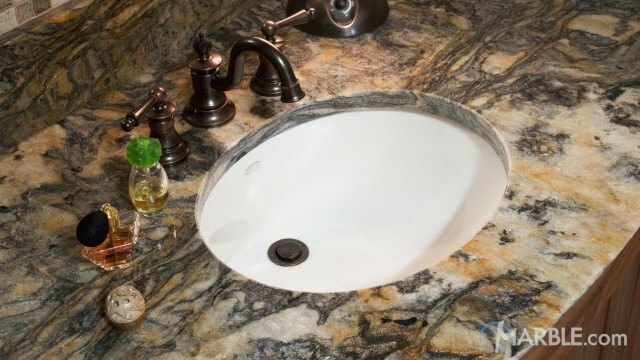 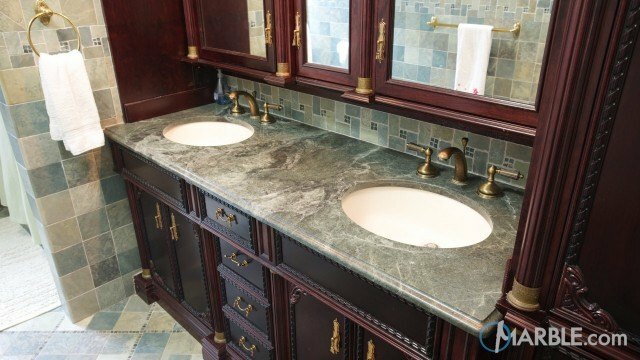 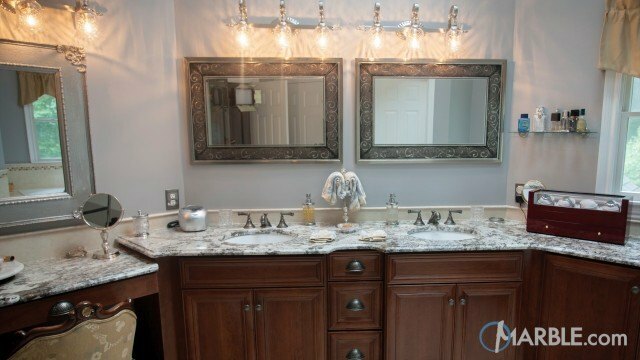 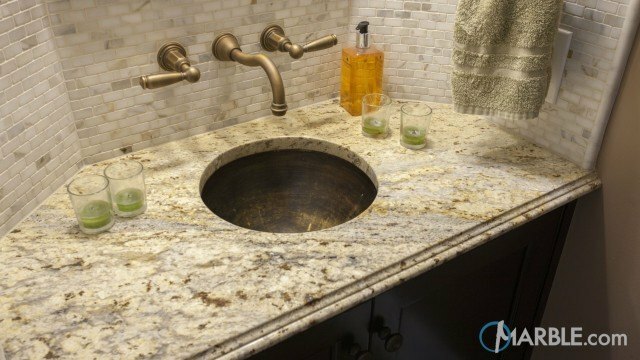 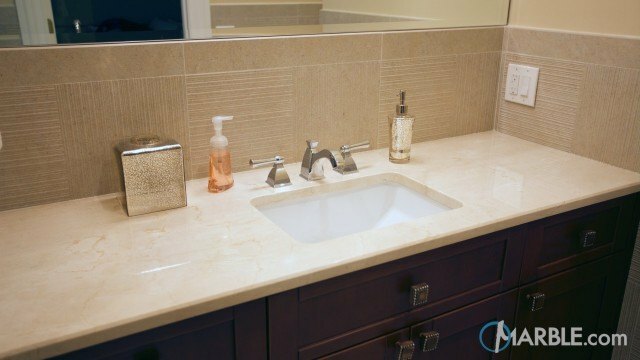 The high polished stone completed with a Half Bullnose Edge brings a soft look to the bathroom. 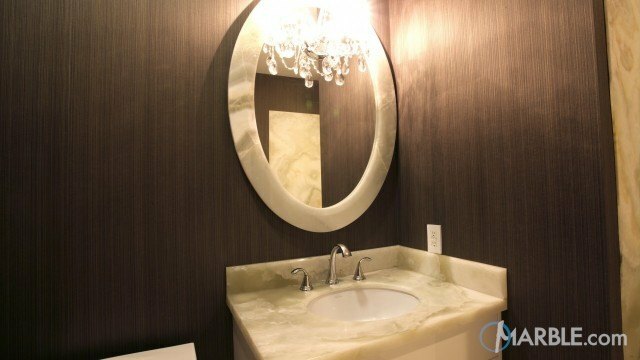 A large mirror opens the room and reflects the chrome fixtures and natural beige and grey veins in the marble. 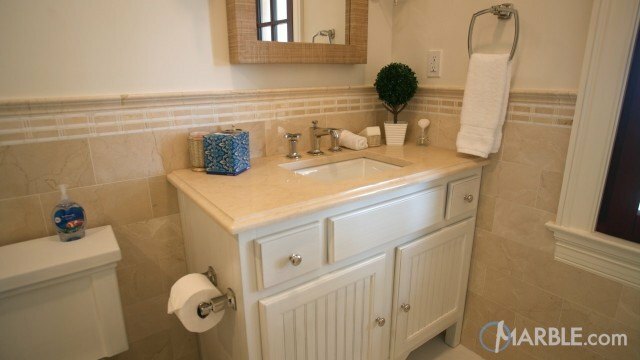 The natural stone tile floor is the finishing touch in this wonderful room.